I really enjoyed the video and field report on this rifle chambered for the 17 WSM. The one thing that was not addressed in the video was the accuracy and performance of the 25 grain bullet through the 1:9 twist barrel. Since I would use the rifle primarily for hunting coyotes, foxes, etc. in South Carolina (rimfire required on Wildlife Management Areas) I would be most interested in the performance of the larger bullet; i.e. accuracy and effectiveness on the larger predators. Can anyone with first hand experience in this area put me at ease before I spend $1999? 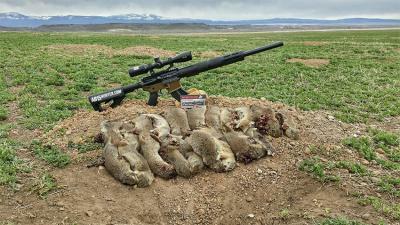 I recently purchased the Franklin Armory F17 upper and used it quite a bit last week while hunting varmints up north. However, I have not shot any of the 25 grain rounds through this rifle, so I could not tell you how it performs. I may have a couple of boxes, so next time I get out I will shoot some groups and let you know how it performed. I did use the 25 grain while in Texas to shoot a grey fox last year and it left a huge exit hole at 75 yards. 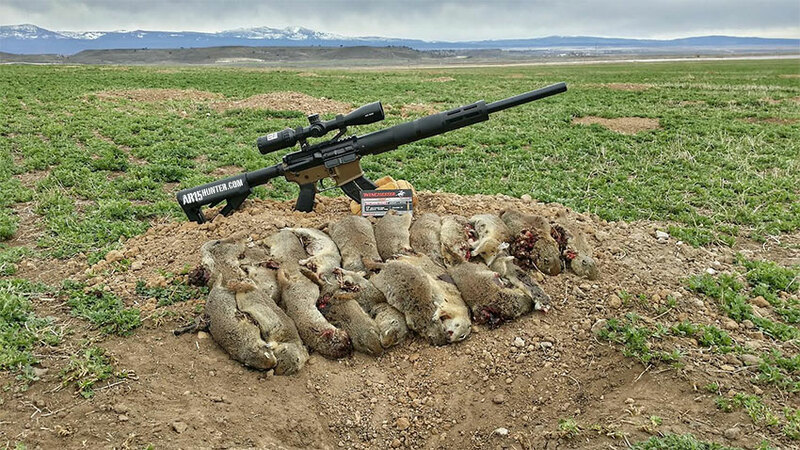 On the other hand, I have shot 2 coyotes and a bobcat with the 20 grain bullets and they performed very well, with one of the coyotes dropped in its tracks at 154 yards. Just purchased a Franklin Armory F17 upper. Want to match it up with a lower I have. I saw the pics of yours with the Magpul STR. Want to do the same thing. I am however a little confused about the carbine stock. I thought I read on Franklin's website that you need a rifle length buffer tube on this setup. Did you use the buffer spring and buffer that came with the upper? I have the same questions as John, as my lower already has a carbine buffer tube and STR stock. What Buffer did you use? From all the stuff on Franklin Armory site it shows a really long looking buffer, that looks (in pictures at least), like it would only fit in a rifle length buffer tube. That is where my confusion lies, how did you go about getting the right buffer? This newbie really wants to get an F17 together and start bagging some Yotes! Or anyone elde with this Franklin F17 v4 upper. I am looking at purchasing one, but absolutely do not want to put a fixed stock on my current lower. Franklin has been ZERO help in this even though they make their own M4 full rifle version with a collapsible stock. Can anyone tell me what buffer would work with this upper in a carbine length buffer tube?